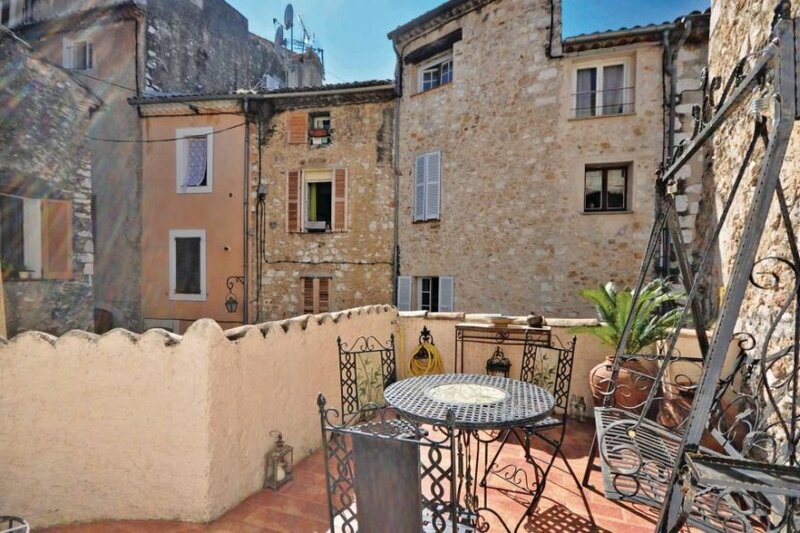 This holiday home can be found in the medieval town of Vence. Antique touches with a modern finish make this the perfect place to relax and enjoy the area. This holiday home can be found in the medieval town of Vence. Antique touches with a modern finish make this the perfect place to relax and enjoy the area. Enjoy the sunny terrace and four poster bed. This villa is made from brick or stone. The agent has rated it as a three star property so it is a well-kept villa, equipped with standard furniture. It is also good value for money. The villaIt is located in Saint-Martin, only 10km from Nice. It is set in a good location, 8km away from a stone and pebble beach. There's also a restaurant only 10 metres away. The villa is adequately equipped: it has a refrigerator and washing machine. It also has some garden furniture outside.